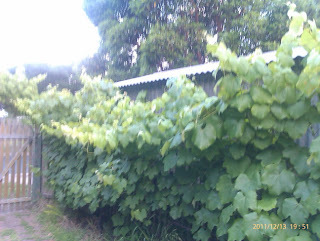 Or just followed a plan. 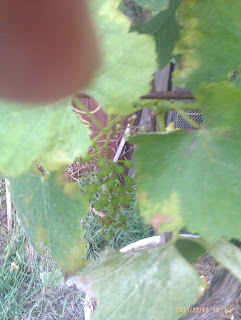 I did not follow the hints of spraying as soon as or even just doing it asap anyway when it was hot and slightly humid, rainy even. Woe to the beginner. 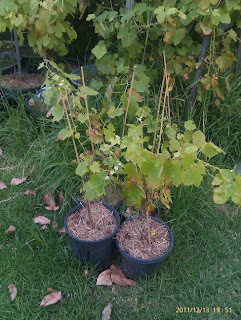 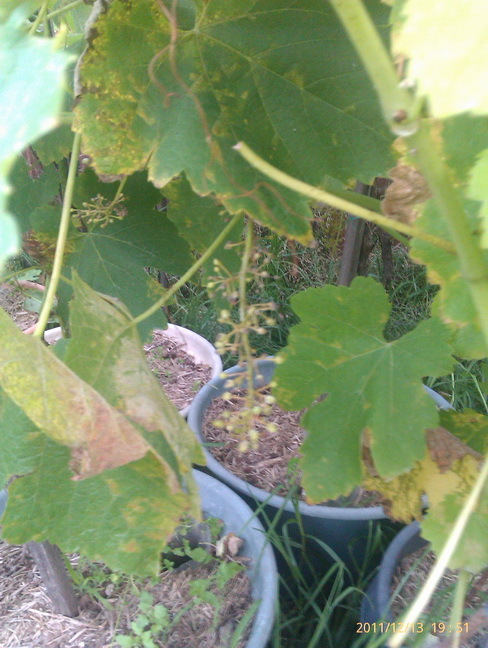 Last week I noticed that the shiraz/Syrah plants were getting slightly discoloured. Looks like I did not follow the protocols, but fer shure, will be to protect the rest of the yard from now on with a regular spray weekly at least. 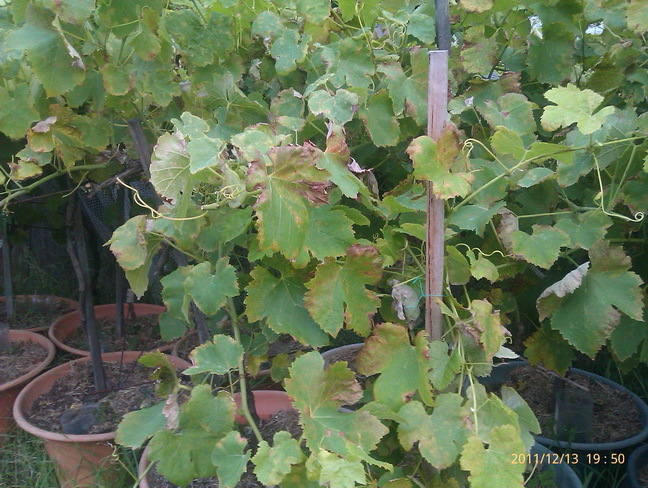 Almost all the shiraz clusters are affected, less than a few mm in diameter, and probably will have nothing left to harvest. 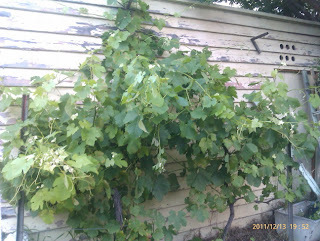 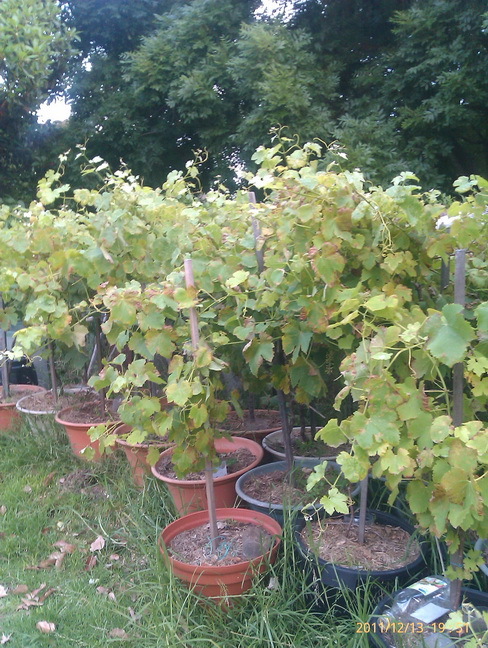 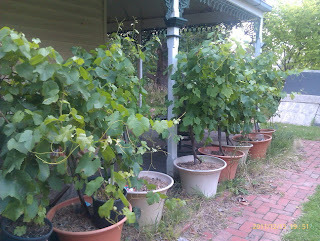 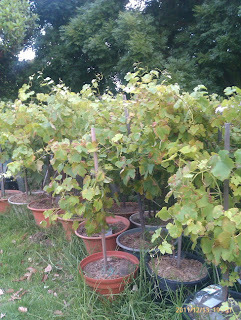 The Pinot is affected slightly, one plant particularly, but I have cut it out of the herd for the moment. keeping a close eye on them all now! 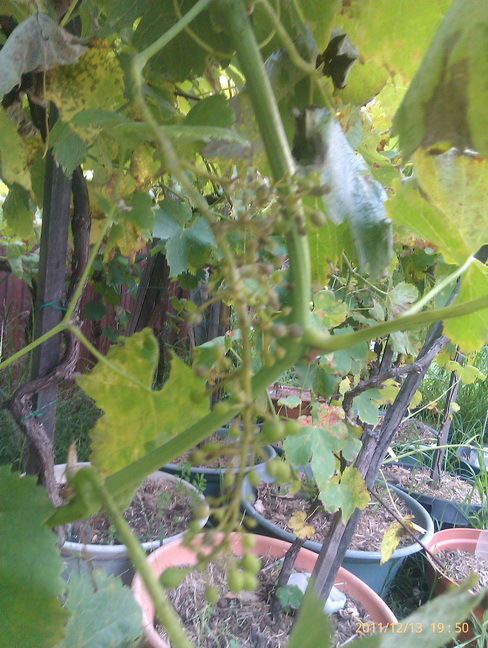 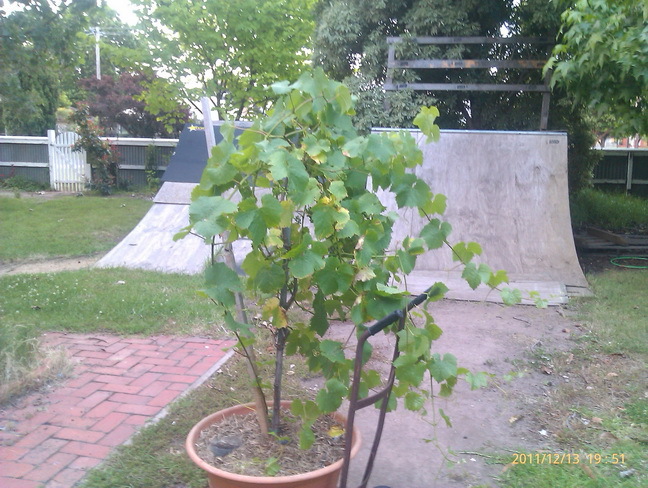 The Foxey Garage Grapes are fine, the berries almost 1cm!